The plant will be set up by Varroc Lighting Systems Inc., USA, a wholly-owned step down subsidiary. Varroc Lighting Systems Inc., USA, a wholly-owned step down subsidiary of Varroc Engineering Limited (VEL) received board approval to set up two new manufacturing facilities. The facilities will be set up in Chennai (India) and Poland for manufacturing exterior lighting components. VEL has 36 manufacturing facilities, excluding the two new ones coming up. VEL is a leading supplier of automotive components to Indian and global OEMs. 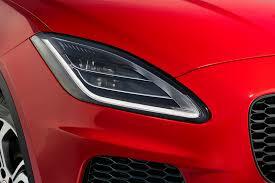 Business segments include polymers, electrical-electronics, metallic components and automotive lighting. Within lighting, it caters to exterior lighting for PVs and CVs (through subsidiary Varroc Lighting Systems, USA) and 2W lighting (through subsidiary Triom Lighting). It has 36 manufacturing plants and 16 R&D centers spread across Asia, Europe and North America. Varroc Engineering ended at Rs1,043.15 up by Rs14.75 or 1.43% from its previous closing of Rs1,028.40 on the BSE. The scrip opened at Rs1,029 and touched a high and low of Rs1,051.90 and Rs1,026.10 respectively. A total of 2,83,276 (NSE+BSE) shares were traded on the counter. The current market cap of the company is Rs14,062.86cr.